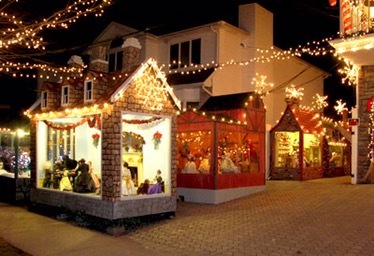 Every year after Thanksgivings Day Christmas Joe DiMartino opening one of the most spectacular Christmas outdoor Displays in Staten Island. Admission is free, but any donations are deeply appreciated and go to support the Outpatient Children’s Cancer Unit at Staten Island University Hospital. Display hours 5-11 pm throughout the holiday season and into January. Christmas of 2014 getting closer and we hope this year Joe’s Christmas Wonderland will get even more attention than the last time. Joe promised something new and “big” this year. I live in Staten Island, walking distance from Joe’s house. For a few years I am volunteering on promoting his Christmas Village to spread the word about this family and charity they support. We just wanted to say thank you for the article and getting the word out about our Christmas Wonderland Fundraiser. We had so many visitors this year and thanks to your website and the beautiful weather and all our advertising we raised more money than we did last year. We are truly happy to have such a large check to hand the Children’s Cancer Unit at SIUH and we are thankful for wonderful people like you who help spread the word. All the best in the New Year and happiness always. Christmas Display will be open for visitors right after Thanksgiving Day and I can’t wait to see what’s new Joe designed for this year! Joe and his family working hard to finish everything in time for grand opening. Visitors will see new beautiful Christmas decorations and meet new members at our own North Pole. Come and bring your kids, friends and even pets. Everybody will enjoy this spectacular place and it will help to get in a Christmas spirit. 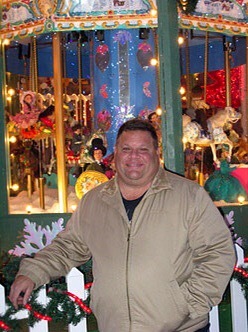 Joe DiMartino’s Christmas Wonderland welcomes everyone! We will let you know about Santa schedule soon. Christmas Season in New York is here and a lot of people around our neighborhood in Charleston on Staten Island putting up Christmas Decorations around their houses. 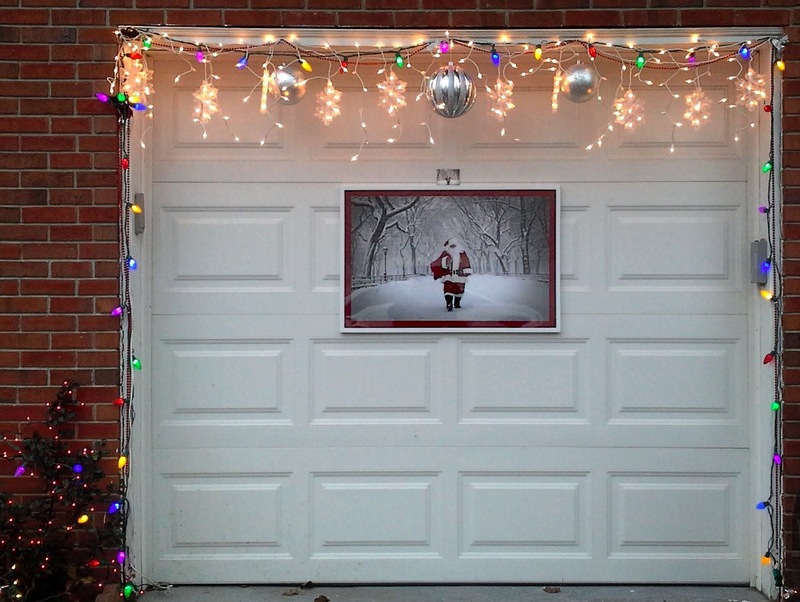 This year we decided incorporate “Santa on Poet Walk in Central Park” framed picture in our Holiday Design. So far everybody loves it. Would like to get your opinion.